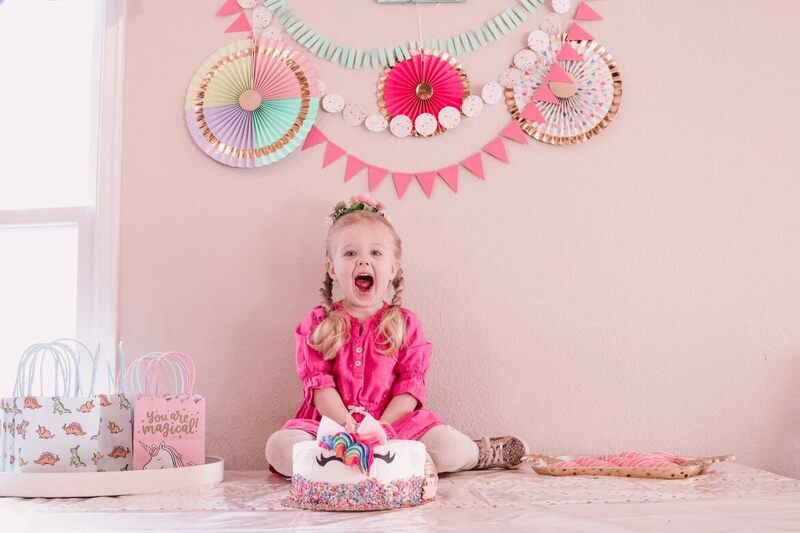 My little princess turned 3! I know that sometimes I tease about my screaming kids but I really hit the jackpot. Ocki is really so good-natured and well behaved. Octavia has such a kind heart and loves her little brother to pieces. She is working hard on potty training, loves to play with friends, and her favorite movie is Tangled. 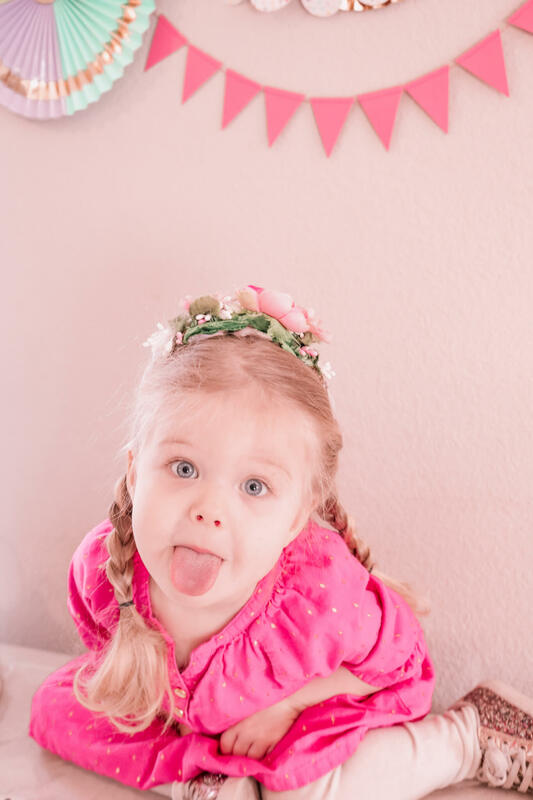 She had been waiting for FOREVER for her “happy birthday.” Ocki decided ages ago that she wanted a Pinkalicious party which is her favorite book. 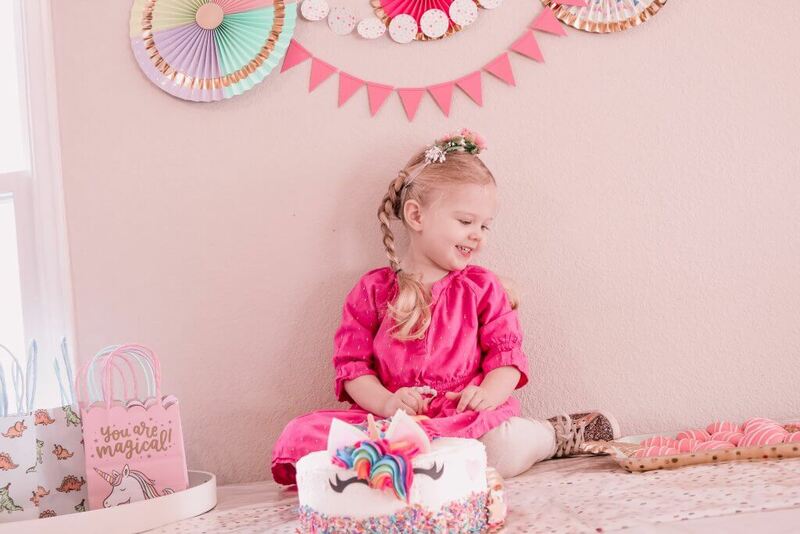 As we actually got down to planning her party it turned more into a unicorn party but that’s totally cool because Pinkalicious has a unicorn. And she still got to wear her Pinkalicious dress! 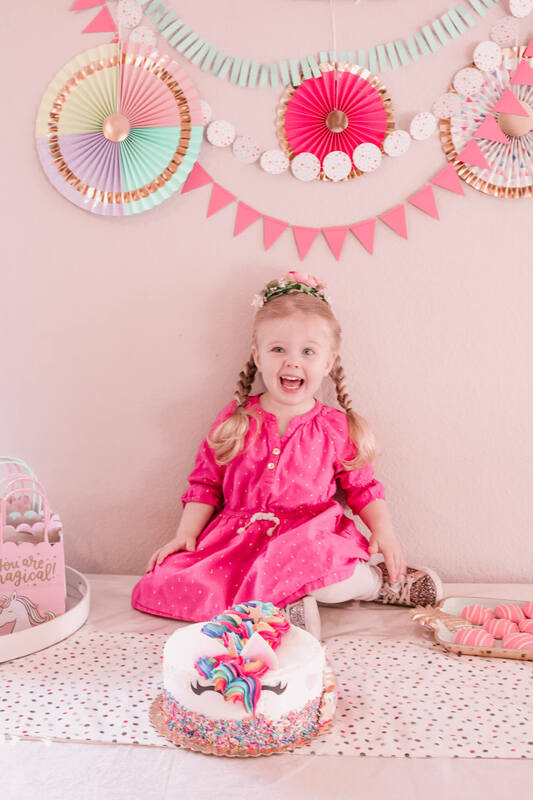 We ended up going a little more all out for this party as Octavia is actually starting to understand what a birthday is and is starting to become more interested in friends. So we had a little friend play date party and a separate party for family. 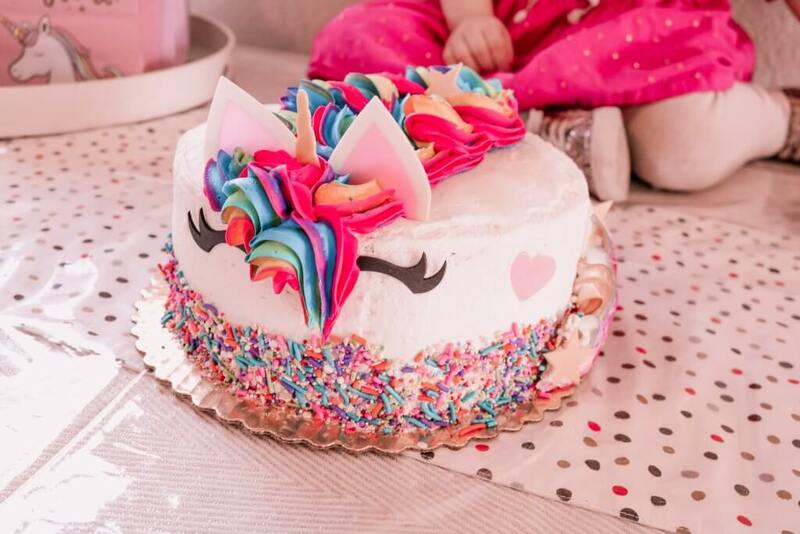 We went to our local Albertson’s to pick up Ocki’s unicorn cake. 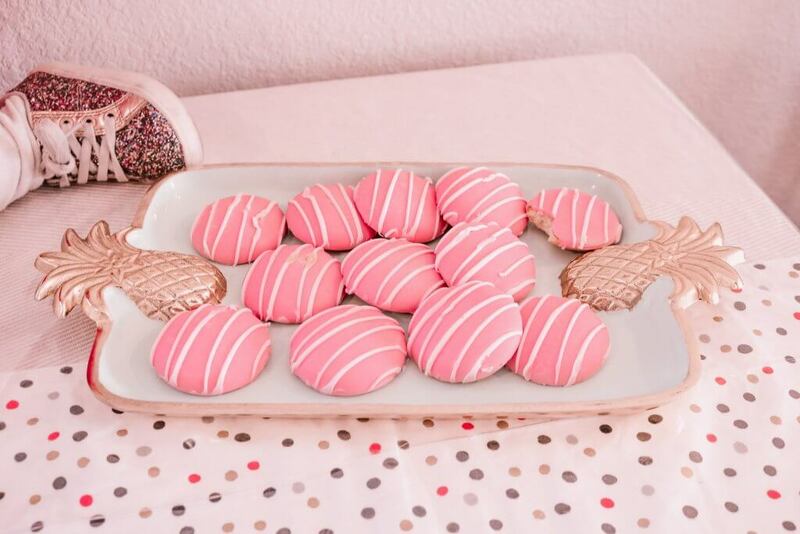 We also got some cute little pink frosted cookies. For decorations we went to Target. We got some adorable little party favor bags and matching plates. The bags are filled with bubbles, temporary tattoos, toy cars, jumbo chapsticks, and treats. 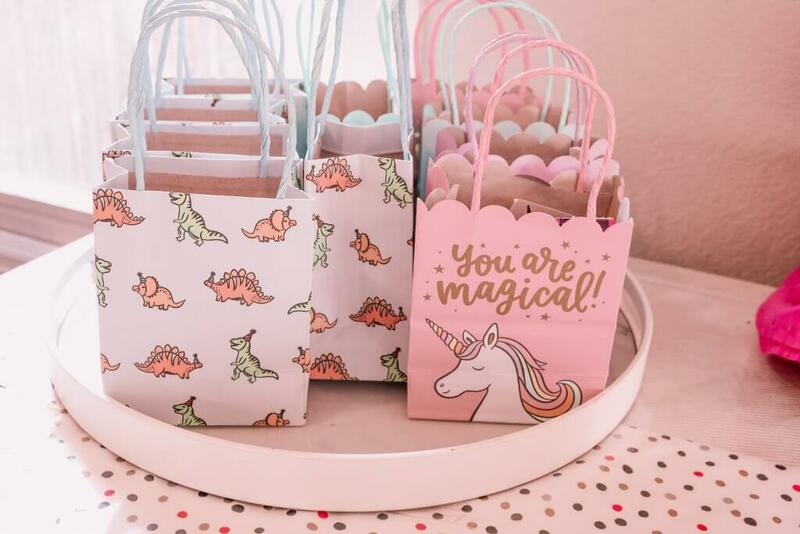 We got some dinosaur bags as well because half the invites were boys! The banner and paper fans were also from Target. At the end of it all it is a rather simple setup to put together and turned out adorably. Ocki loved getting to see her friends and sharing her special day. How elaborate are your parties for your toddlers? 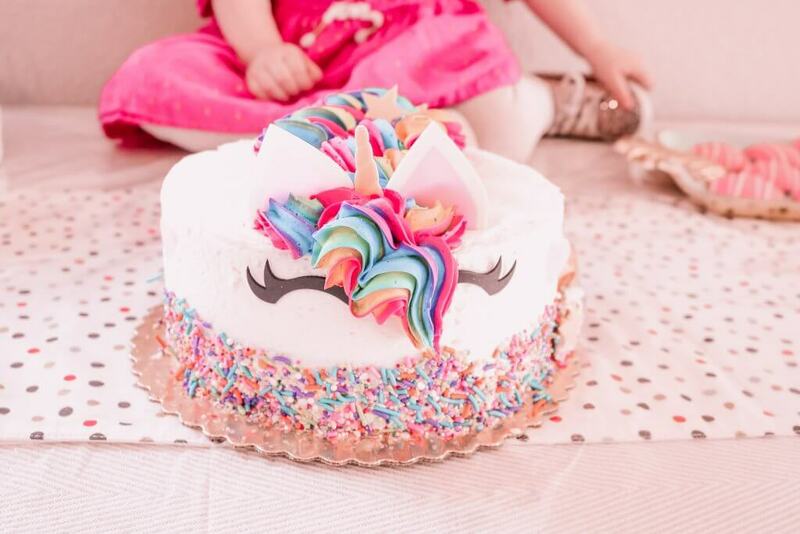 Would your little girls go for the unicorn theme? Let me know your thoughts in the comments and remember to subscribe to keep up!